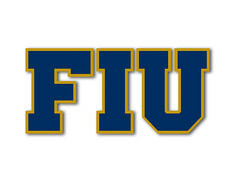 FIUGoldenPanthers.com • View topic - Should FIU leave CUSA and go independent? Should FIU leave CUSA and go independent? This might be better for the off-season... but diagodog inspired me on a previous thread and I think it's kind of appropriate with UMass coming to town. Maybe some of the Minutemen fans can chime in. Also... I fully suspect I'll get the Internet equivalent of rotten tomatoes thrown at me by some of you good folks for even bringing this up... but what the hell. I'm OK with taking a few good shots. Let's have some fun. I'll admit, I thought the idea was nuts at first... but the more I think about it, the more appealing I find the idea of FIU going indy and ditching CUSA. I think most of us agree that there's no team in CUSA which moves the needle in any real way for FIU fans... casual or otherwise. FAU's probably the closest, but that could easily be played out of conference. Has been in the past. So... if there's no CUSA team really worth playing... and the TV contract $$$ is going to be negligible... and the travel is going to be worse or the same than the Belt... then what's the benefit of being in the conference? I'm having a hard time finding one. As a football independent, FIU has the flexibility to schedule whoever they want (within reason)... and there would almost certainly be more matchups overall with P5 schools and the other Florida schools going down this road... hence more games that would attract the casual fans. Being able to play in Florida is a big deal for schools that recruit the state heavily... and that's pretty much everyone with a pulse in college football. I can easily see FIU playing a few lower-tier P5 schools at home every year for that reason. There would be some drawbacks, for sure... mainly the need for at least 1 money game (if not more) and having to play other independents in October and November. Army and BYU would probably garner some interest. I doubt the others would. And FIU would almost certainly have to return to the A-Sun for the other sports. But would that be worth it to have football home games with schools that casual fans know and care about? I'm starting to think that it just might be. Third. there is no guarantee that we could get on the schedule with ND, and unless you're a football fan anyway, BYU and the service academies aren't going to get you into the stadium. 5 - are Northwestern and Vanderbilt really going to be better draws than WKU and Marshall? 7 - I don't think a move back to the A-sun would be good for our other sports teams. We are good right here. No bowl tie-ins, money or scheduling for our other sports programs if we leave. I think we are good at CUSA for right now. The conference has up and coming teams that could easily compete in the American. I think some issues or obstacles that CUSA is facing are TV deals with different networks. For example, the king of college football "like it or not" is ESPN. They pretty much determine who is hot or not, I mean if we look at our past during the Cristobal era, ESPN was going ballistic on TY or our Louisville defeat. CUSA needs more games on ESPN. BeIn is nice and these other startup networks are cool as well, but only one network carries the bell cow. No, no, no. No real benefit. We have 4 games each season we can schedule P5 schools if we really want to do so. No TV game contracts, no possible conference championship, no bowl tie ins. I suspect UMass would jump to a conference given the chance. 3) They belong to an athletic conference that doesn't sponsor football. FIU doesnt fall into either category. First... If my numbers are right, FIU's getting around $200,000 or so every year from CUSA's TV deal. I don't know what the travel budget is for athletics... but I'm fairly confident it's over 6 figures for all sports every calendar year. It wouldn't surprise me if FIU's spending more than that in travel costs. Football alone is pretty expensive. I'm not completely confident in those numbers, though. If anyone has something more specific, I'd love to see it. Second... FIU's already dead last (if not close) for bowl bids. No bowl outside of Florida could take FIU and reasonably expect a huge blue and gold wave to follow. Even with the Florida ones, it's dicey. As an independent, FIU can do their own bowl tie-ins. Hell... if you really want to think outside of the box... FIU could spearhead its own bowl and guarantee that they'd play in it if they finish over-.500 and no other bowl takes them. Miami's a fairly nice destination. I don't think it'd be that hard to do. Hell, Boca has a bowl. And I remember the Miccosukees having interest in doing that in the past. Third... I agree regarding Notre Dame. I also agree about BYU and the service academies. But if you're not a football fan, you're probably not going to games, anyway. Casual football fans know BYU and Army (or Navy or Air Force) a lot better than anyone in CUSA. I think it would absolutely draw more interest from those people. If nothing else, the local soldiers, sailors, cadets and vets would be motivated to come out. Not sure how big the Mormon crowd is in South Florida, but BYU has fans nationwide. Fourth... does a conference title mean anything if most of the FIU community doesn't care about the conference? Fifth... I believe so. People know Northwestern, Vandy, Illinois, Indiana, Rutgers, Maryland, Minnesota, Wake, Duke and all of the other bottom-dwellers in the P5. They certainly know them better than anyone in CUSA. The attendance numbers bear that out. Sixth... winning is the big key. If FIU doesn't win, the rest doesn't matter. But if they do... FAU certainly would want to play no matter what, if only for the rivalry's sake. USF and UCF would absolutely have motive to schedule a good FIU team, especially at home. It would improve strength of schedule. Being that the American will be the Access bowl conference of choice most years, it benefits them to play as tough an out of conference schedule as possible. As for UF, FSU and Miami... probably not... but if FIU gets that good, I'm not sure Miami could duck a yearly matchup forever. The other two probably could. Seven... the A-Sun is definitely worse. But there's just no way FIU could stay in CUSA or join any other conference without bringing football along. You'd have to go to a conference that doesn't offer football. The A-Sun is the only regional fit that makes any sense. For what it's worth... I think it probably helps basketball, men's and women's. FIU is probably the worst hoops program in CUSA right now and it's a 1-bid league anyway. The A-Sun would definitely be an easier path to March Madness. It would hurt baseball and soccer... probably softball, too... but those aren't your revenue sports, so I don't think it would hurt that much. I agree about the competition. Well, somewhat. I don't think all the CUSA teams could. But my point isn't really about the competition. It's more about having games that would attract people. I think it's beyond a shadow of a doubt at this point that the FIU community just doesn't care about CUSA teams. Look at the stands. Name one CUSA team that draws a half-decent crowd to the Cage other than FAU. ESPN will never care about this version of CUSA, no matter what. If you're not in the P5, you are irrelevant to them. At best, they'd get treated like the MAC games. Where's the benefit in that? I'd rather they play on Saturdays and build a fan base than air a Tuesday night game with no one in the stands. If you really want to get on ESPN, beat someone in the P5. That's why they went nuts about the Louisville game. Independence = more opportunities to play P5 teams. BeIn's a good network. I like what Stadium is doing. I could do without their annoying sideline reporters, but at least the stream quality is decent. And let's get real... if you want to watch FIU, you'll find those networks just fine. That's all that matters. You're not wooing casual fans with Tuesday night football in front of 500 people. If that worked, the MAC would have a lot more fans, no? It seems CC's main point for going independent is to play better teams. I am skeptical FIU would truly be able to get a good group of teams into the Cage if we went independent. If it were so easy, why are we not doing it for our out-of-conference games? I think instead you would end up with a schedule similar to UMass.... Basically playing a bunch of different G5 teams at home. It's true that no C-USA program draws a lot of fan interest, but I don't think going independent would fix that. I will say, with TV contracts starting to tank, I don't think going independent is as crazy as it was before. Nonetheless, I think there are still more pros for remaining in C-USA than there are for going independent. The problem with attendance is rooted much deeper than the opponents FIU plays. It's a cultural issue that was exacerbated by many losing seasons in a row. Fix this cultural issue and begin to win, and then playing in C-USA will be fine. Exactly. We can play Alabama and Ohio State each week and we'd still only get 1/4 the cage filled at most. These are recognizable schools and potentially winnable games. The one thing a trip to FIU offers many of these schools is visibility in the most fertile recruiting grounds in the country. No, their fans would fill the place. Easily. FIU fans would be outnumbered 5-1.